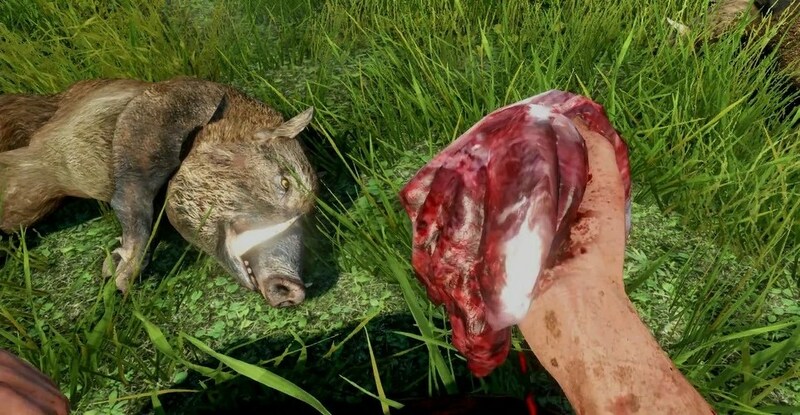 I played the last Far Cry and I really wasn’t impressed with it. It was kind of cool. A lot of free roaming and you can mostly just go around and kill savages. It was OK to say the least. 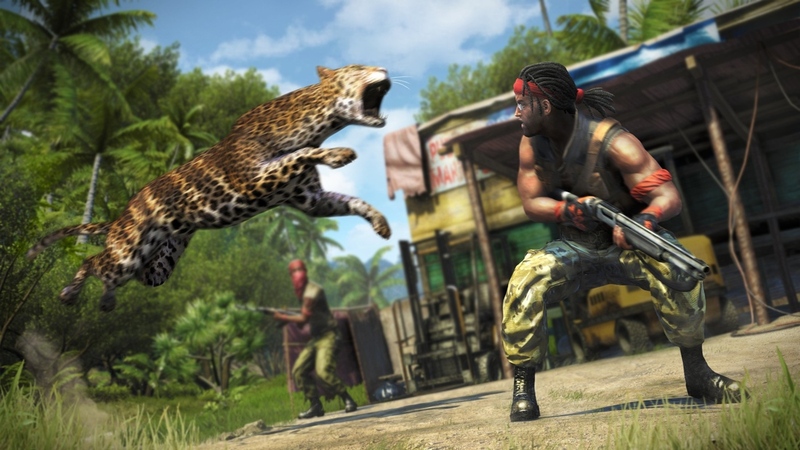 Now Far Cry 3….AMAZING! This is THE GAME to buy if you enjoy open world gaming. The story is great and compelling, the action is constant and the amount of things you can do is almost unreal. Sometimes I don’t even do quests. I could just go around and hunt animals and gather plants, but have fun doing it and not consider it tedious. The story is simple yet complex. You play an American tourist on vacation with your friends and brothers. You get captured by pirates and are going to be ransomed off to your family. You escape and go on a quest to get your friends back before they are killed or sold. The island your on is controlled by pirates and other factions fighting for control of the island. You do missions like liberate camps and fix radio towers and the villager’s give you supplies and money. There are also a number of other missions like bounty hunter missions and racing games. All this just keeps adding to the never ending gameplay experience. Now let me discuss why hunting is such a fun feature in the game. In the beginning you only can carry the one weapon. When you get certain types of animal’s skins you can make pouches to expand the amount of weapons you can carry at one time. So in the beginning of the game I found myself hunting for skins to upgrade my character. With gathering plants you can make medicines and all types of quick enhancements to your character, such as more health for a certain time and becoming faster. Again, you get certain animal skins and you can carry more medicines. So, it’s good to go around hunting to make the gameplay more fun. You can even hunt sharks too! The easiest way is to get on a boat and literally run them over and get out to get the skin. Just a little tip for new players of the game. My favorite character is the man who captures you, Vaas. Incredible writing went into this character. He is deranged and smart at the same time. He kills your brother in the beginning of the game and then gives you a few seconds to run before hunting you down. The man is out of his mind at times, going on rants about family and murder. This game should win game of the year. I thought Skyrim was a great game. The tagline of Far Cry 3 is “This is Skyrim, with guns!” and that’s what it is. You level your guy up, go on missions and can almost do anything you want. Sometimes you can just be walking on a path and a caravan of pirates drive by and you get into a fire fight. You can find yourself walking through the woods and then get attacked by a group of dogs. The game gets a perfect 5/5, there isn’t anything wrong with this game. The only problem is that it has to end eventually. Oh, I almost forgot, it has Co-Op. great Co-Op missions where you play a separate storyline on the island doing missions and liberating camps. So not only does the game have an amazing single player, it has a Co-Op mode that is just as good. I completely recommend this game and hope you all enjoy.